The Heisman Trophy presented to Rashaan Salaam is up for auction. Reuniting it with his family is the right thing to do. Rashaan Salaam's Heisman Trophy to be auctioned off, with a portion of the proceeds going to CTE research. 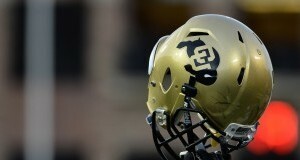 The Colorado Buffaloes (5-4, 2-4) defeated the California Golden Bears (4-5, 1-5) on Satuday, 44-28. Each week I listen to Coach Mac tell me how good things are in practice and how everyone is doing a good job. Each week, I believe him less and less. The Selection Committee of the Colorado Sports Hall of Fame voted six individuals to be inducted at the 54th annual banquet. The Boulder County Coroner's Office reported Thursday that Salaam's death was caused by a self-inflicted gunshot wound to the head. BuffsTV, the Pac-12 Network and 120 Sports share video highlights and memories of Rashaan Salaam's playing career. Chad Brown, who played with Salaam in 1992, joined Eric Goodman and Les Shapiro to reflect back on one of the most decorated Buffs of all time.